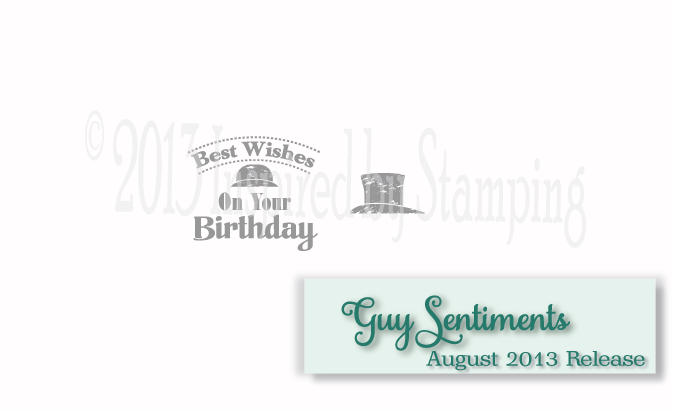 Welcome to the first day of Inspired by Stamping August Release Hop. These new stamps are a MUST have in everyone's collection!! Wait till you see what everyone has created. Don't we all have amazing men in our lives? I have 4 of them in my house and lets not forget grand and great-grand papas too! These new sentiments are going to make, making cards for them so much easier! For the sentiment on my card I stamped it twice. Once in black ink and brown ink. 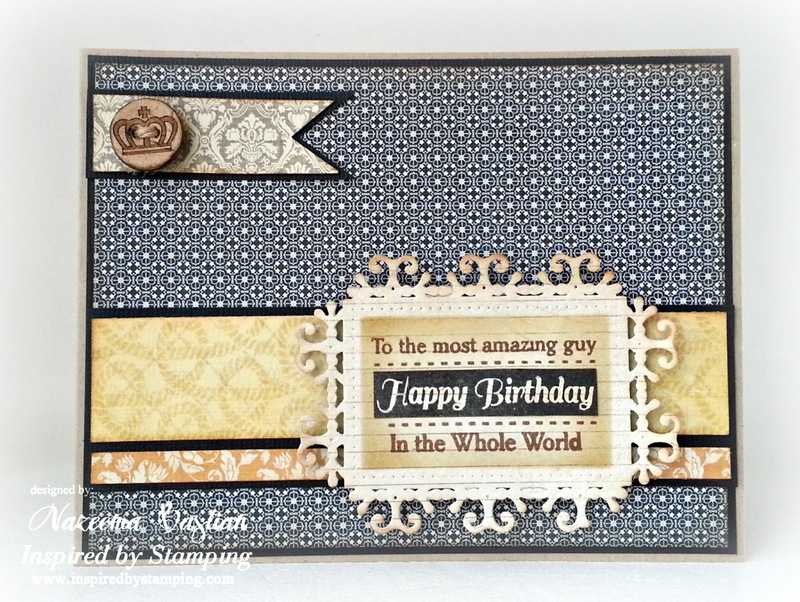 I then cut the "Happy Birthday" out of the black and glued in to top of the brown stamped sentiment. This would also look really good in a blue and brown color combination!! Do you see the rope background on the yellow patterned paper? 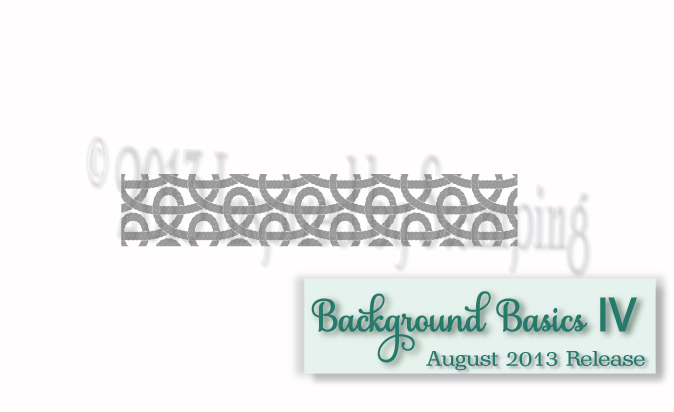 That is a brand new background stamp too!! I'm telling you..these new stamps are AMAZING!!! Here is a sneak peek of the stamps being released today. So are you ready to see some more amazing creations, created by the rest of the design team?! I hope you are, cause these ladies are about to knock your socks off!! Here is today's line up, if you happen to get lost or lose track. Free Shipping on all order over $25 for 48hrs after the full reveal on August 10th. All stamp sets will be offered as a bundle at a 10% discount. August 11th the new color challenge hop will start. August 12th will feature the next blog hop which the theme is Masculine Cards. Excellent job here, Nazeema! Your textures and colors go so well together! Bravo! Fun design! Love the colors you used!! Love that subtle rope stamping and your colors are fabulous! This is a delight. The colors looks fantastic together and I love how you've used two colors for the sentiment. Wow, this is stunning! So crisp and clean, yet it's very elegant too. Love the black matting - it adds a beautiful finishing touch behind the layers! Awesome paper pattern usage! Great guy card! Fab papers and the rope bg is very masculine. What a great sentiment, too. Super creation. Perfect masculine card - and I really like the colors! Thanks for joining us at Squigglefly. Awesome Card Calypso! Love all the layers! This is a super card, although we do like to see areas of white space on submissions to our challenges at "Less is More"
Love that fancy frame around the sentiment! Great card - so perfect for any man! Thanks for playing in Squigglefly's challenge! A very elegant masculine card! Great details. Thanks for sharing it with us in the Squigglefly challenge. Love the look of this card, thanks for joining us at One Crazy Stamper this month.